In addition to the usage for article direct injection, the cold runner system FlowControl with its innovative shut-off nozzles is also very often utilized as universal cold runner for most different applications. Here DESMA is not exclusively focusing on the complete avoidance of runner waste, but also relies on the variable nozzle balancing. Since each nozzle has a separate hydraulic cylinder which actuates the sealing in conjunction with a mechanism arranged outside the nozzle. Due to this mechanism the compound runner is executed without disturbing nozzle which would result in high pressure drops. At the nozzle end only there is a slide nozzle with a needle end where the compound flows around. The crucial advantage of the FlowControl cold runner systems as against conventional cold runner systems lies in the slighter pressure drop. The new shut-off technique is ideally suited for the usage of high-viscosity elastomers with very high injection pressures. The separate actuation of each individual nozzle through a special hydraulic system and corresponding input mask screen page of the control system enables flexible shut-off points per nozzle. This technology is optionally available with the control system generation DRC 1210/2010 and purpose-made screen pages on all DESMA injection moulding machnes.The shut-off points per nozzle can either be input via the injected volume (piston position) or oder time-controlled at the machine control. Thus, volume balancing through the control system and data storage together with the mould data record are feasible. After having changed a mould while keeping the cold runner, the correct nozzle balancing is automatically active upon loading the respective data record. This facilitates the use of standardized cold runners substantially. 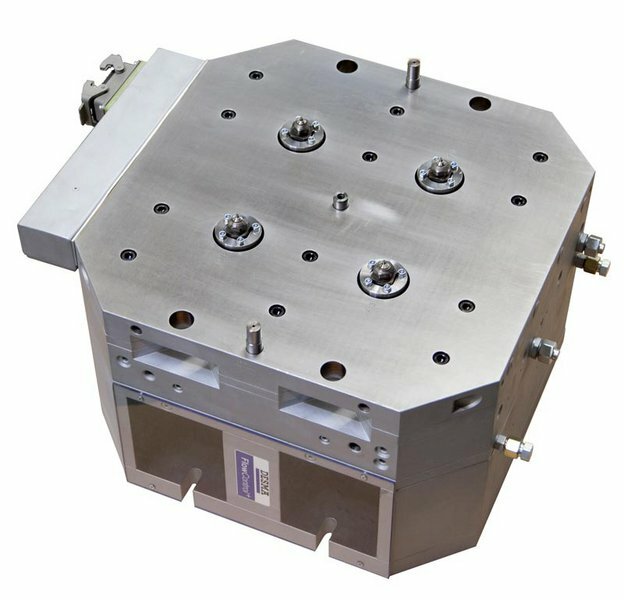 The FlowControl technology can be used for almost all elastomer articles and for different articles sizes in one mould as well. It further permits direct injection of large-sized parts through several nozzles. In case of big seals e.g. the position of material joining spots can be flexibly set. With the patented cold runner system FlowControl the company defines again its technology leadership in the elastomer processing sector. The FlowControl technology that has already been broadly launched into the market brings new possibilities and flexibility for the production of rubber and silicone moulded parts. 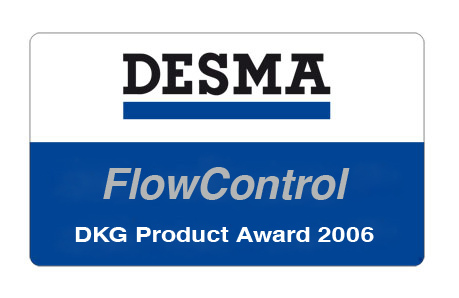 In 2006 DESMA won the Product Award 2006 awarded by the German Rubber Society (DKG) for it. 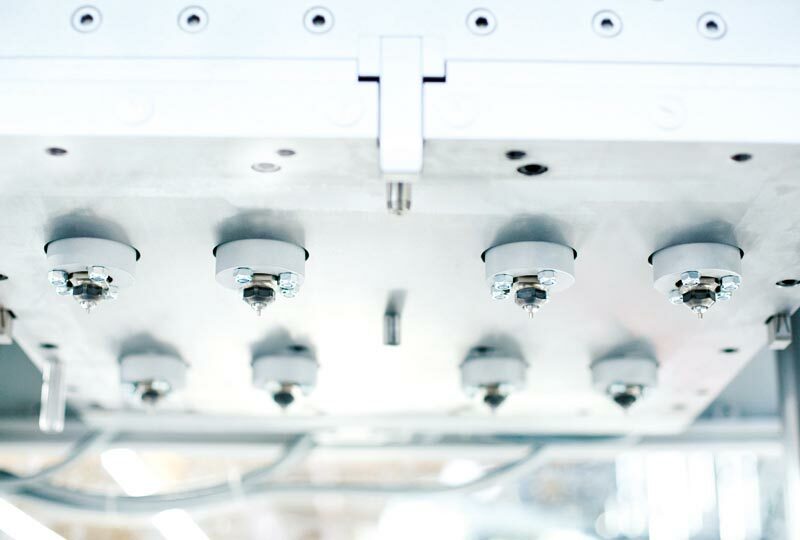 Together with an innovative individual nozzle control via the injection moulding machine, the cold runner technology FlowControl permits a largely fee arrangement of nozzles. When the compound needs to be changed, this innovative cold runner system is easier to be cleaned as against competitive cold runners. The usage of a 9-nozzle FlowControl cold runner enables e. g. the (asymmetrical) direct injection of 9 different article sizes. Combined with the DESMA patented DesFlex system, a zero-waste article production is realized through the new kind of brushing and demoulding system on a horizontal injection moulding machine D 969.300 Zv (S1). Thus DESMA offers a turnkey package which up to now has been especially successful in producing precision articles for the seal industry. The new cold runner technology FlowControl+ was developed by DESMA engineers and has been successfully tested in the in-house process engineering center for various industries. 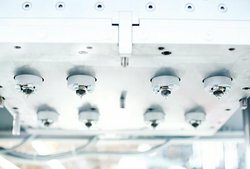 The patented FlowControl+ cold runner is fitted with dynamically controllable nozzles which make a controlled heat input into the compound possible. The special thing about the patented FlowControl+ technology is the actively controllable individual nozzles which enable a dynamic reduction in cure times depending on the article contour. 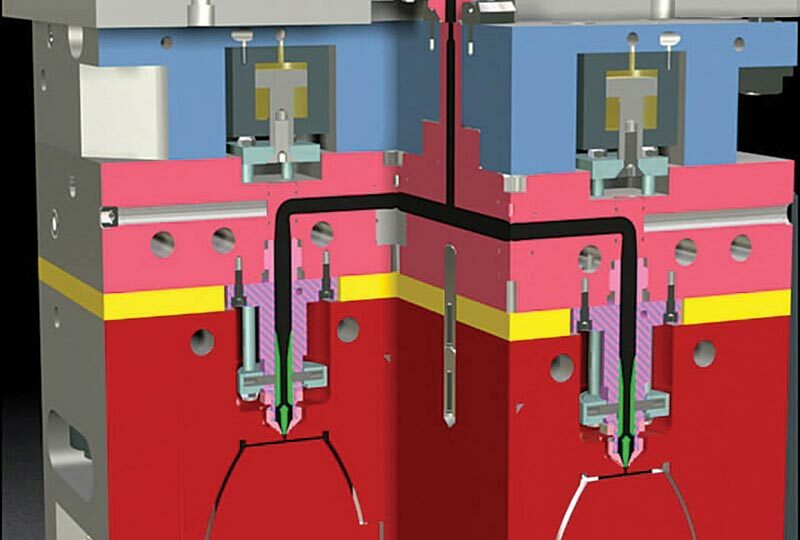 Here the injection gap can be variably set with a tolerance of less than 0,1 mm during the injection process and thus the heat input can be controlled very precisely. In addition, interruptions of production are possible without any premature cross-linking of the material. 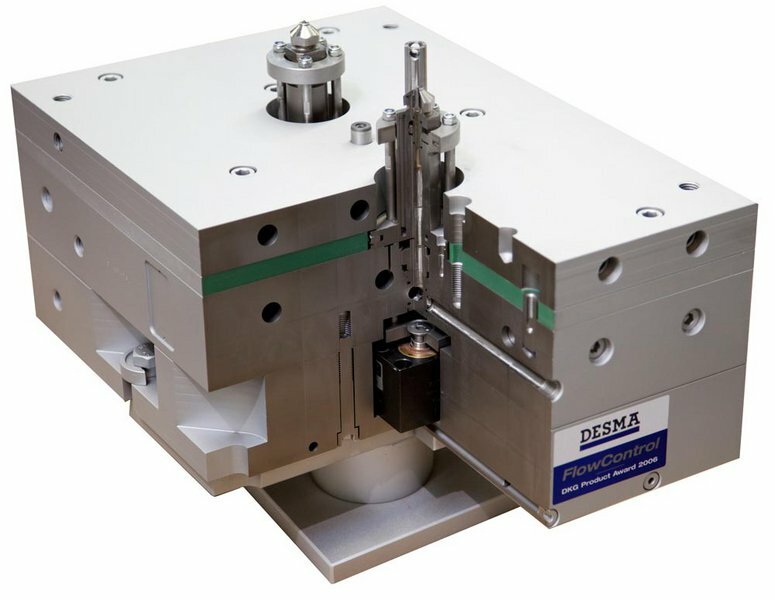 DESMA developed an extremely robust shut-off nozzle function especially for high-viscosity compounds and liquid silicone applications. This cold runner system is being based on the proven FlowControl cold runner who has already been very successfully established in the market for several years. The FlowControl+ variant allows for the opening stroke to be set variably resulting in a heat input at the nozzle tip. DESMA has therefore launched the first cold runner system which enables to reduce cure times in a resource-friendly way.